In hotelier circles, there must be a concept that every person who stays in a hotel room will drift off to sleep, a bedside-table-bible perched across the chest open to a page alternating between red and black type on tissue-thin paper; the sleeper dreaming of man finding or denying faith in a bronze-age-world. How else would one explain the abundance of bibles – sometimes more than one per room – available in motels, inns, lodges and hotels; from pay-by-the-hour to weekly to nightly; in all regions of the country from the deep south to the liberal northwest? You can’t take the Bible from the room. You can’t damage the Bible. If there is another Bible in your hiding spot, find somewhere else. 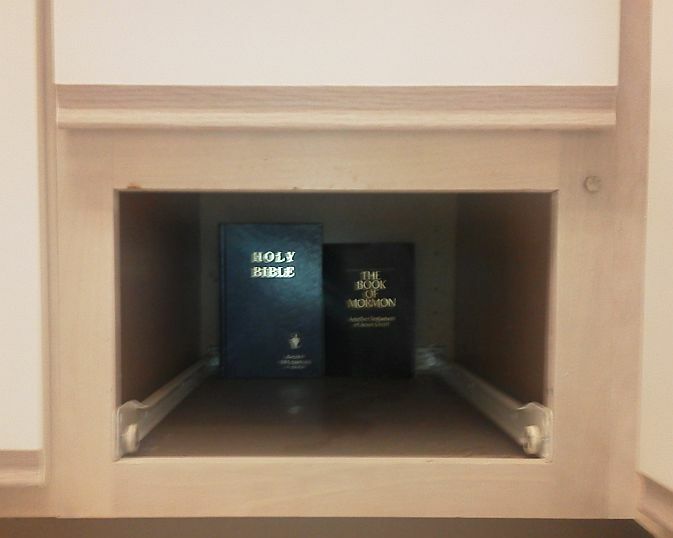 On my most recent trip, I stayed at a Residence Inn in Oregon where I was treated to both a Gideons and a Book of Mormon, which I hid in the kitchen area between the end of a drawer and the cabinet wall. There was just enough room for the fatter of the two books to stand up at the end and have the drawer slide along its rails as it did before. 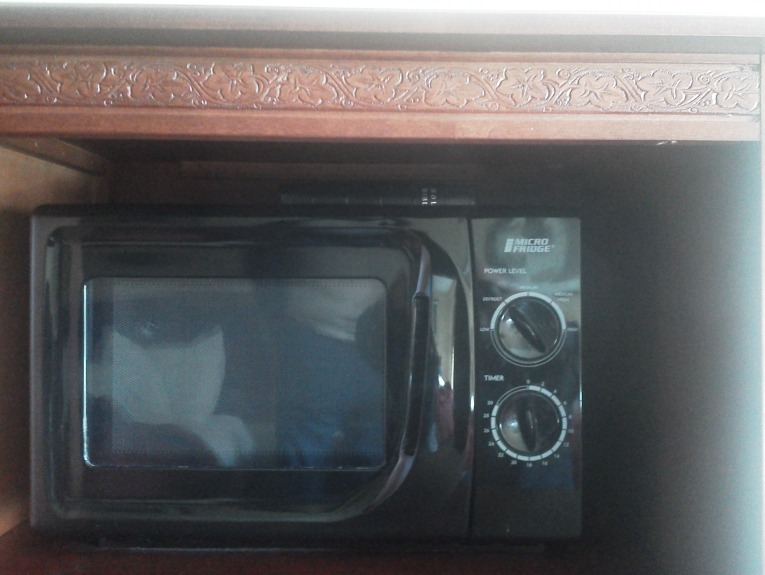 On a different trip, it was hard to find a home for the single KJV , so I wedged it on top of the microwave. 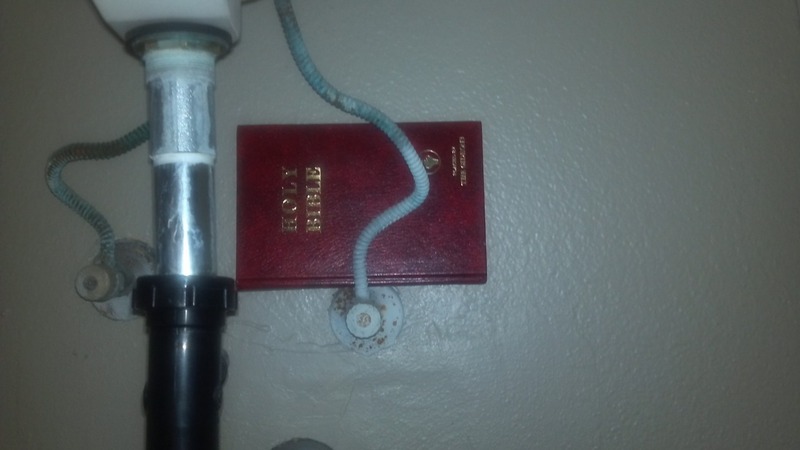 And in San Diego, I found a place for a Gideons under the sink. This entry was posted in atheism, Bible, Funny, Hide the bible, HTB and tagged hide the bible, htb. Bookmark the permalink.